I want to take a moment to bring up one of my weaknesses. I am talking about sweets, treats and delicious snacks. 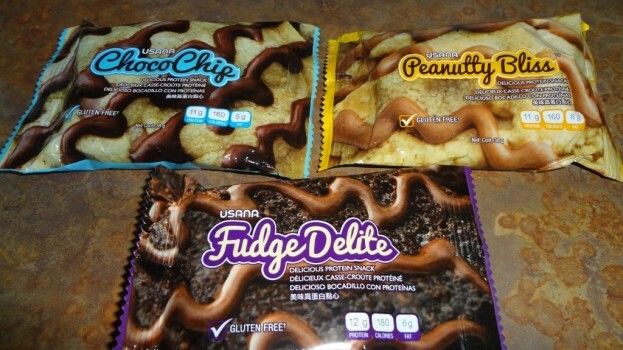 Excitedly, I got my hands on three flavors of USANA’s Delicious Protein Snacks today. 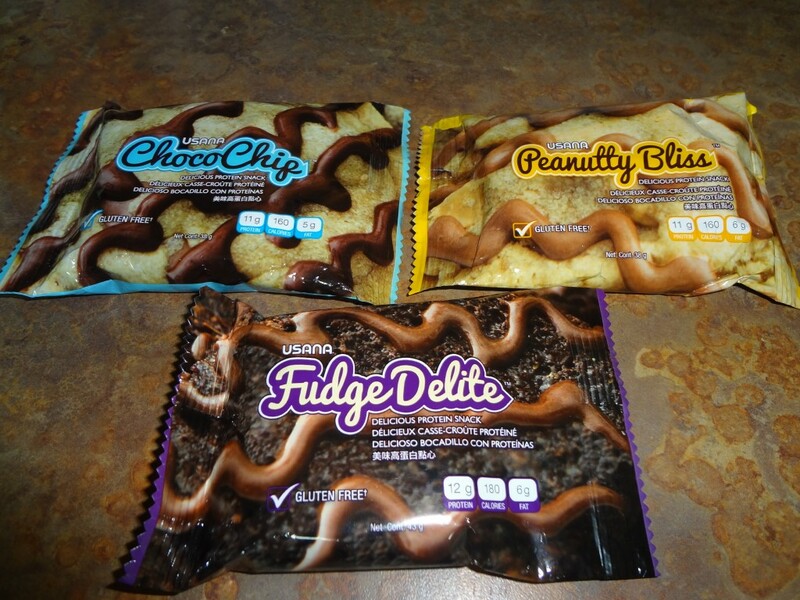 I had the opportunity to taste the Choco Chip, Peanutty Bliss and Fudge Delight. These vegetarian protein snacks did not disappoint me one bit (and bite!). I eagerly opened the package, and there it was. It was a chocolate chip protein snack calling my name. As I took my first bite, I was pleasantly surprised by the delicious, guilt-free snack. It was a small, yet filling, piece that was decorated nicely with a chocolaty icing. The best part about this product is that it is less than 200 calories with 11 grams of protein. Yup! Next up is the peanut butter deliciousness. Oh, how I love peanut butter! This snack is bursting with a peanut butter flavor and topped with a smooth peanut butter icing. Last up is the fudge delight! This soft-baked protein snack is loaded with chocolaty flavor for those craving days. Oh, did I mention that it has chocolate chips baked right inside of it? Let me not forget to mention the dark chocolate icing layered on top of this snack.